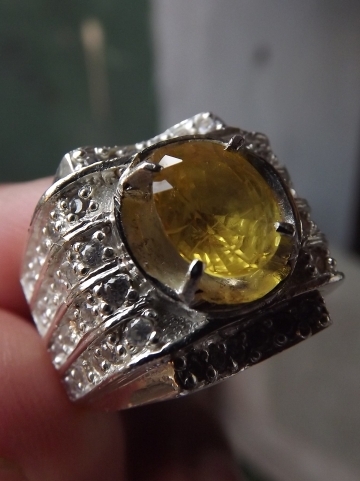 This is a very lustrous natural Yellow Sapphire corundum. The origin is Africa, but it has Ceylon quality. 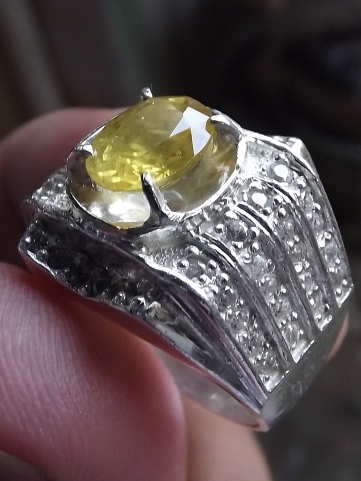 The gems is already set on an 18mm beautiful silver ring. The size of the gems is (est) 9,5mm x 7,5mm x 4mm. Price: Rp. 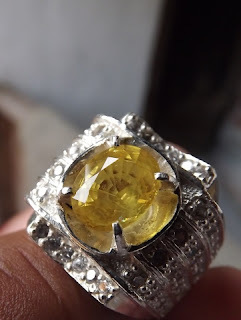 1,2jt,- shipping cost is included for Indonesia delivery areas only! 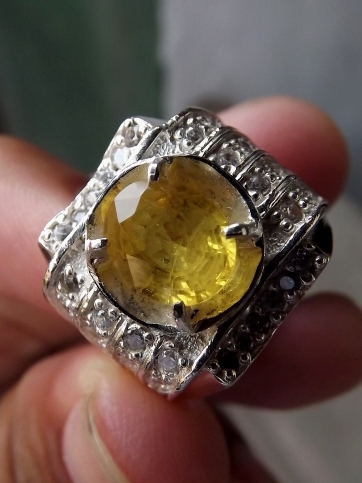 Get this very special Yellow Corundum now! 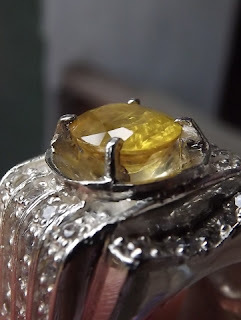 Natural Yellow Sapphire! ini ada memo nya mas?